« Tim Thomas is down and so is his alma mater. Yes, it’s getting crazy in here. 1. Chicago or Dallas at Minnesota. Host venue: Target Field (Minnesota Twins) or TCF Bank Stadium (University of Minnesota Football). Likelihood the event takes place over the next three years: 9 out of 10. Picking the Twin Cities as a host of Winter Classic is a no-brainer. Despite a rather disappointing franchise history, the Wild carry one of the league’s most devoted fan bases. No American state can match the state-wide interest in the game of Minnesota. The Wild should host an outdoor game, the sooner the better. If you think Philadelphia provided a festive atmosphere this past New Year’s, just wait until you see a game on the North Star state’s frozen tundra. Considering a usual Minnesota winter, weather should be the least of the worries for Dan Craig’s talented staff. As far as the facility, either Target Field or TCF Bank Stadium should serve as a worthy host. Both are state of the art, open-air facilities located in the heart of Minneapolis with 39,000-plus capacities. Either would provide an intimate but extremely festive setting for the Winter Classic. For side events, interest would be through the roof for a college hockey game pitting the University of Minnesota versus rival Wisconsin, North Dakota or Minnesota-Duluth. A four-team high school tournament pitting local prep schools would also draw huge crowds. Chicago would be most logical opponent as a team that has hosted, but not yet played in a road Winter Classic. Back when the Blackhawks played in the Norris Division, Chicago and the then-North Stars were fierce rivals. That could be represented in an Alumni game featuring former North Stars players and Blackhawk alums. Dallas would provide plenty of interesting storylines, given the franchise’s Minnesota roots. An alumni game featuring former Wild players and North Stars (or Dallas Stars) would draw plenty of interest. However, Dallas is a weak television draw for the NHL with its lack of notable players (and hockey fans, based on typical attendance figures at American Airlines Arena). That might take Stars out of the equation. 2. Boston (or Buffalo) at the New York Rangers. Host venue: Yankee Stadium, MetLife Stadium or Citi Field. Likelihood the event takes place over the next three years: 7 out of 10. As a participant in the 2012 Winter Classic, the New York Rangers will likely have to wait a year or two for a chance to host the event. However, New York City would make a worthy site for the spectacle, even if an appropriate facility in Manhattan (home to the Rangers) doesn’t really exist. The most logical site for the game would be the new Yankee Stadium in the Bronx. The gorgeous rebirth of an American icon already plays host to a college bowl game around the same time period, but it would prove a fantastic hockey location. MetLife Stadium, the new football home of the New York Giants and Jets, could host a huge crowd, but finding an appropriate date would be difficult considering the facility’s frequent usage. Citi Field, home of the New York Mets, has the potential to work as well and could be a good tie-in for the Islanders. One thing the city is sure to provide is a top-notch atmosphere. There is not a better location in the U.S. to visit over the holidays, with the skating rink at Rockefeller Center and the ball drop and hoopla of New Year’s on Times Square. The Boston Bruins, the most recent Stanley Cup champions and longtime Rangers rival, would seem a perfect fit, especially for a game at Yankee Stadium. The Bruins also slot into the NHL’s model of tying in teams for a home-and-home in Winter Classics. Buffalo, another rival from upstate, makes sense as well. Like Boston, the Sabres have hosted a Winter Classic. Another fun possibility with a Rangers game would be a double-header involving the New Jersey Devils and Islanders. Both teams lack the cache of the Rangers, but this game would be sure to draw plenty of interest locally depending on the location (Devils host at MetLife Stadium, Islanders at Citi Field). A college hockey game involving Cornell, RPI, Colgate or Clarkson would be great addition. 3. New York Rangers at Los Angeles Kings. Host venue: Los Angeles Coliseum or Dodger Stadium. Likelihood the event takes place over the next three years: 5 out of 10. 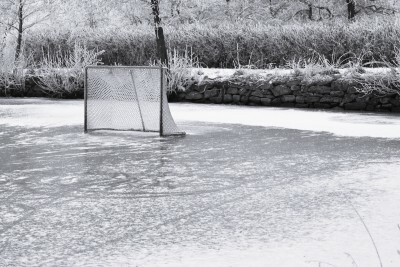 To date, the Winter Classic has remained restricted to the northeastern United States, where January climates prove to be the most favorable and where television interest remains the strongest. However, the technology of artificial ice sheets does not limit the location of where a game could be held. In fact there has already been a highly successful outdoor game held in the 80-plus degree heat of Las Vegas. Back on September 27, 1991 the Kings hosted the Rangers in an exhibition game held on a makeshift rink on top of Caesars Palace’s parking lot. Artificial outdoor ice technology has come a long way since that historic game, meaning a warm weather Winter Classic is a real possibility. The media market of Los Angeles makes the most sense for the spectacle of a warm-weather game, especially since the city regularly hosts an outdoor rink just outside of the Staples Center. For an opponent, the Rangers would be a great choice considering the rivalry between America’s largest cities and historical connection with the Caesar’s Palace game. Taking advantage of that history, the alumni game could pit players who were members of the 1991-92 Rangers and Kings. For a host venue, I would suggest two of the Los Angeles area’s most famous facilities – either L.A. Coliseum or Dodger Stadium. Either site would provide an incredible backdrop for the events and a stunning contrast unseen in any other Winter Classic. A doubleheader scenario could take place here as well, with Anaheim hosting another game on the rink; San Jose or Phoenix would seem a logical opponent. 4. Chicago (or Minnesota) at St. Louis. Likelihood the event takes place over the next three years: 6 out of 10. Along with the Twin Cities, St. Louis is another cold-weather market that remains untapped for the Winter Classic. Home to NHL hockey since 1967, the grass roots of the sport is strong next to the Mississippi River and outdoor skating is a favorite pastime among the locals. Home of the wildly successful St. Louis Cardinals and ideally located downtown, Busch Stadium would provide a fantastic venue for a Winter Classic game with the blimp backdrop of the Gateway Arch offering stunning television. Some logical opponents for the Blues would be either Minnesota or Chicago, former Norris Division rival cities with plenty of playoff history. Overused Detroit is another potential foe that would generate significant television interest. Considering the long history of these teams (with the exception of the Wild), an alumni game makes plenty of sense here. Though not terribly close, University of Nebraska-Omaha (a top-flight Division I college hockey program) offers an opportunity for another game to increase the festival atmosphere. 5. Pittsburgh Penguins (or New Jersey Devils) at the Washington Capitals. Host venue: FedEx Field or Nationals Park. With the star power available on the Capitals, surely America’s capital will host a Winter Classic in the near future – especially if the two local state-of-the-art facilities, FedEx Field and Nationals Park, are available for the site. The only question is who will be the opponent. An intriguing possibility would be a rematch of the 2011 game pitting Pittsburgh and Washington, only this time the Capitals would play host. The injury problems of Sidney Crosby could derail television interest, but hockey diehards would still savor another chapter of the Evgeni Malkin/Alex Ovechkin feud. If the NHL were to decide that three Winter Classics were too much for Pittsburgh, former Patrick Division rival New Jersey offers a decent stand-in. The Devils, which feature three of the league’s marquee stars (Ilya Kovalchuk, Zack Parise and Martin Brodeur), would make for a decent television draw paired alongside the Capitals.